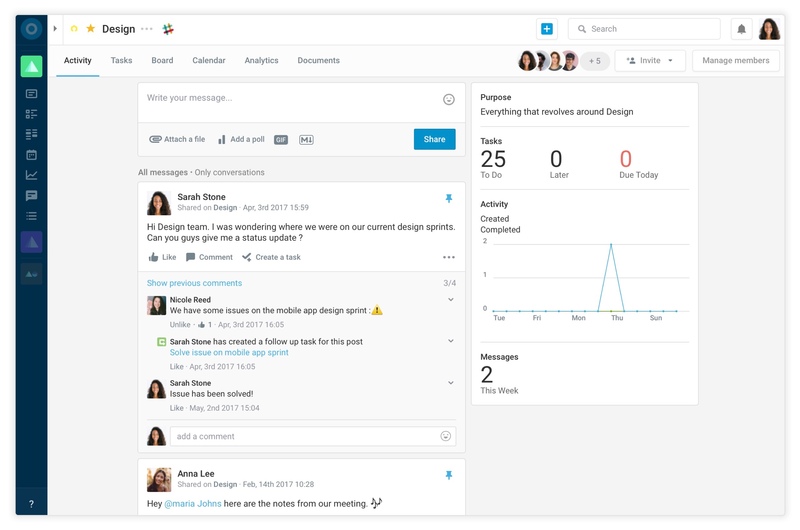 You can pin conversations so that they are more easily accessible to subject members. This can be useful to make sure everyone sees a specific conversation containing important instructions or documents. 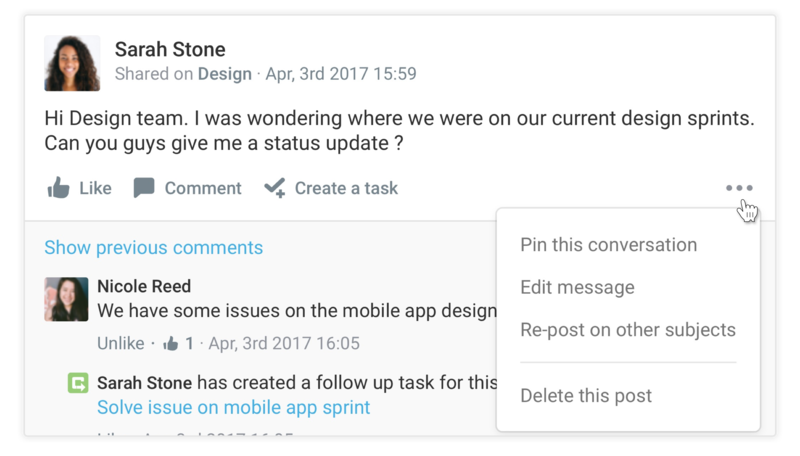 Only conversations shared on one subject only can be pinned, and the pinned conversations will only be pinned in the subject activity tabs. To pin a conversation, click on the three dots to display the menu click on Pin this conversation. A pin icon will appear on the conversation and next time someone goes on the subject activity tab, they will see the pinned conversation first, then all the other messages sorted by last update. Mulitple conversations can be pinned at the same time in the same subject, as in the screenshot above. 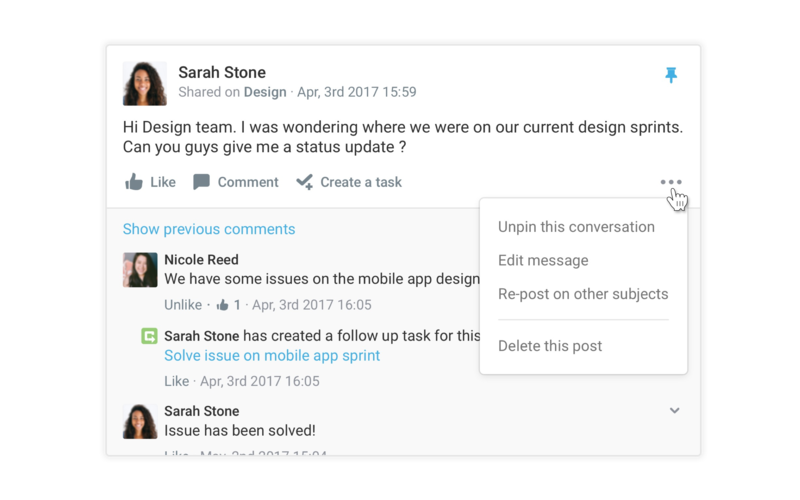 To unpin a conversation, click on the three dots to display the menu and select Unpin this conversation. The next time someone goes in the subject activity tab the conversation will return to its inital place depending on the last update.